'Naan Ee' to release in Hindi on October 12! 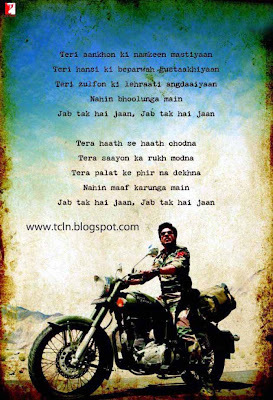 Music Director A R Rahman, Shahrukh's film named - Jab Tak Hai Jaan! The soundtrack of upcoming Tamil movie Neethaane En Ponvasantham "(NEP) is selling like hot cakes with 100,000 copies sold since its release on September 1. Neethaane En Ponvasantham "Physical (hard copies) has crossed one lakh with fantastic pre-booking. Neethaane En Ponvasantham "(NEP) also had a ticketed launch concert where we bundled concert tickets along with CDs and sold close to 7,000 copies within a span of 48 hours," Ashok Parwani, head south, Sony music entertainment told IANS in an e-mail interaction. Composed by maestro Illayaraja, Neethaane En Ponvasantham is a perfect blend of melody and trance. The album consists of eight tracks, which are sung by singers like Yuvan Shankar Raja, Ramya, Karthik and Sunidhi Chauhan, among others. Directed by Gautham Menon, Neethaane En Ponvasantham is a romantic film starring actors Jiiva and Nani. It will be released in Tamil and Telugu. However, the release date has not been decided yet. Bilingual 'Naan Ee' - 'Eega' weaved magic at the Tamil - Telugu box-office and raked in moolah from all quarters. The film is now all set for a release in Hindi on October 12 and will be releasing as 'Makhi' (meaning fly). Directed by SS Rajamouli, Naan Ee stars Nani, Sudeep and Samantha and is more of a good vs. evil battle, with the hero avenging his death by reincarnating as a fly. The CG works of the film were largely praised and it attracted family audience of all ages, including little tots, thanks to the clean script. In Hindi, parts where Nani appeared alone seem to have been re-shot with Abhishek Bachchan. The rest of the film has been dubbed. SS Rajamouli managed to make a blockbuster with a fly in the south where heroes are worshipped, whether the film will work among Hindi audience who are mostly about stardom and glam remains to be seen! 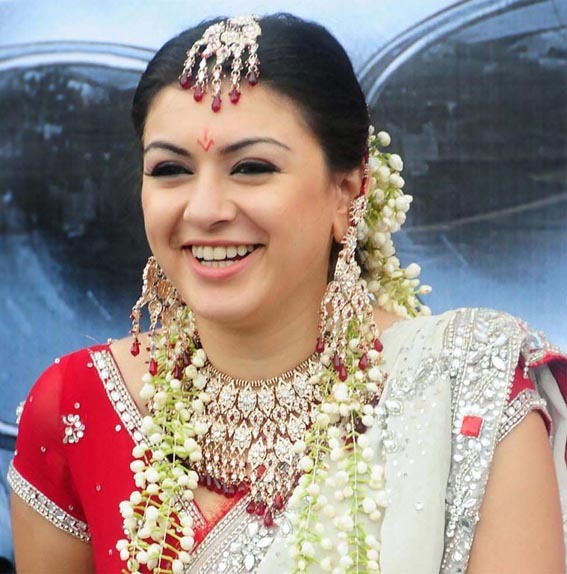 Hansika has half a dozen tamil projects in her kitty. She is doing 2 movies with Simbu, one with Surya and Arya apart from the tamil remake of the telugu movie 'Ishq'. Shahrukh Khan's film with Yash Chopra, Katrina Kaif and Anushka Sharma is waited with bated breath not just in the north but all over the country, thanks to the coming together of Yash Chopra and SRK after years and Yash Chopra making his comeback as a director after eight long years. Interestingly AR Rahman is teaming up with the B-town's ace filmmaker for the first time, by scoring the music of the film. 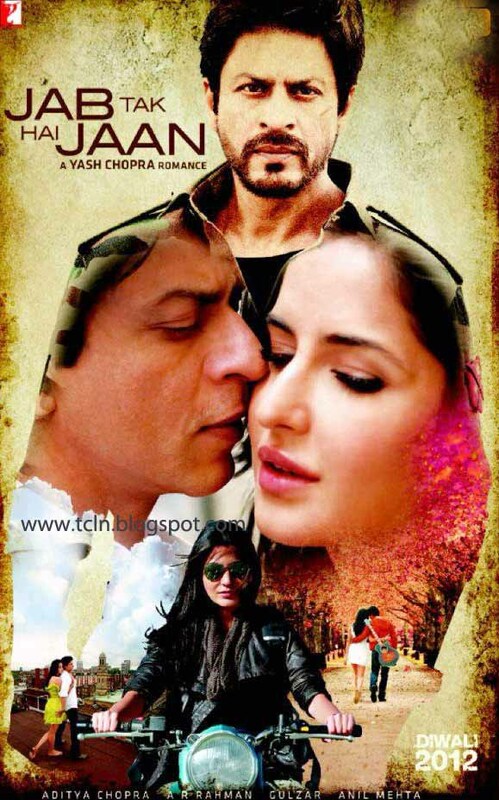 Although this film is slated for a Diwali release it wasn't named and a guessing name was on with regards to the title but all that can be put to rest now, as the film has finally been christened as 'Jab Tak Hai Jaan'! (Meaning till when there's life in me). It was rumored that it will be announced on September 27 but the makers have announced it today. The film sees Shahrukh as an army officer in parts of the film and as a love guru in few parts; it's touted to be a love triangle. How do you like the First Look posters? 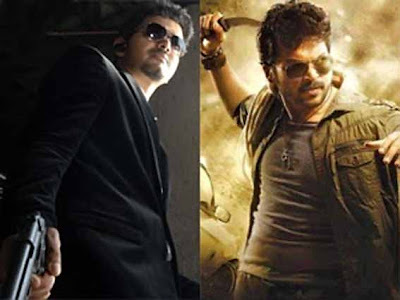 It's confirmed from trade sources that 2012 Diwali will see a cracker of a contest at the box-office between Vijay's Thuppakki and Karthi. 's Alex Pandian.